Energy storage is going from strength to strength as technology finds better and cheaper ways to do things. ASI Electrics successfully stays at the top of its industry by applying new, innovative solutions to ensure a better outcome. 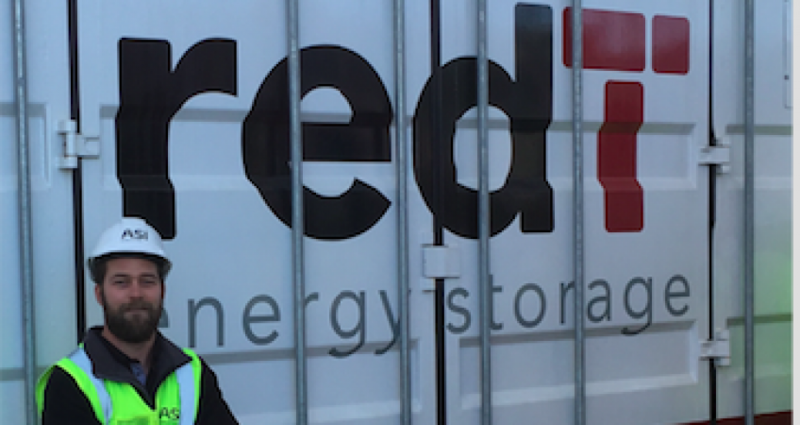 The company is about to install a redT Energy storage system at the Biomedical Learning and Teaching Building (BLTB) at Monash University that will provide 300kW – 1MW of energy for them. The installation comprises of 4 X redT 45kW-225kW vanadium flow machines with a 120kW TESVOLT lithium battery system sitting along side the flow machines. The University can utilise the energy that it has stored or sell it back to the grid. There are several operating modes that can be implemented. Solar optimization – By using storage alongside their solar panels, the excess daytime energy is shifted to the evening. This means Monash can run on cheap, self-generated solar instead of expensive peak-period electricity imports. And energy import costs are cut dramatically. Tariff time shifting – The energy storage system can import energy when its cheap and discharge when it’s expensive. This reduced the total cost of electricity import from the grid. Peak load lopping – The Li-ion system can play a key role in this operation by discharging during very high spikes in demand, to keep the measured peak demand optimally low. It’s all about balancing the storage of daylight solar energy and exporting the surplus while using power from the grid when required. The redT system acts as a flexible platform meaning the university can dynamically switch between services depending on what is most profitable at the time. There is an estimated payback on the investment in less than 10 years and an Internal Rate of Return (IRR) of more than 10%. The system allows for a more complete use of solar energy, helps control energy use and will enable the university to negotiate their power supply contract as a result. ASI Electrics say that this redT system is at the cutting edge of energy management utilising solar and grid. It has a lifespan of 25 years. ASI Electrics is one of the leading electrical contracting companies with years of experience delivering complex projects to clients in the education, health and commercial sectors. ASI Electrics provide clients in the Melbourne metropolitan area with a range of electrical services that are both energy efficient and attractive. They work with clients of all sizes and in different businesses and supply solutions that are creative, affordable and innovative.